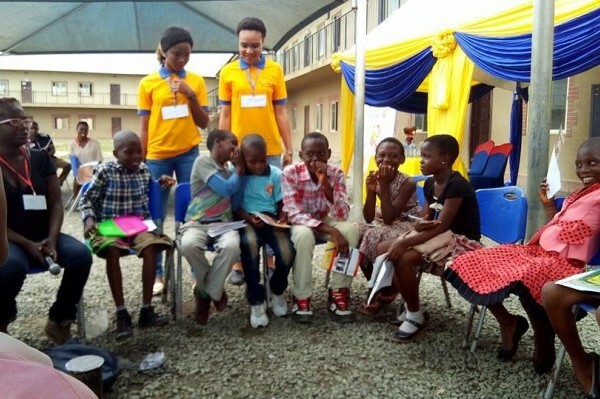 The maiden edition of the Owerri Children’s Book Festival took place last month and was organized by the Read Aloud Foundation with the support of the Bless Children’s Foundation. The Read Aloud Foundation was established in 2013 with the aim of encouraging reading, writing and art among children. The organization, made up of eleven young university undergraduates, has since paid numerous visits to orphanage homes, rural and urban primary schools, donating books, teaching reading and writing and conducting art classes with interested children. The festival drew a crowd of about fifty children and over thirty adults and featured sessions that catered to both groups. Children’s books were sold with at discounted prices at the festival book stand. Artwork by John Chiche Okoronta and Chijindu Amaliri were also displayed. The sessions targeted at children featured readings, creative writing class, art classes, music and dance. Some of the facilitators included Uche Peter Umez, Ayodele Olofintuade and Nnenna Ihebom—all award winning writers who are passionate about children’s writing. There was also an art class led by visual artist Kehinde Awofeso. The adult-centered sessions featured poetry readings, spoken word performances, music performance by Oscar, creative writing class and poetry lectures facilitated by the likes of Offor Aluka of Griots Lounge and Chika Jones Onwuasoanya of Lyriversity. The festival ended with music and dance by children, parents, and guests. There were prizes awarded to children with the best stories and art works.